Readers, this weekend, the baking went back to basics. Cookies. Big, soft, American style. And super easy to make. Plus, you can put anything in - oatmeal, raisins, chocolate chips, raspberries... you get the picture. This time, I went back to my childhood with Smarties. I remember as a kid, being given the odd treat with a smarties cookie on a stick from a well known high street cookie chain. I remember them being huuuuuge (possibly because I was so little) and being ridiculously chewy. Little did I know, they were so simple to make. I made a half batch of the recipe as nobody was visiting this weekend and as I write this on Sunday afternoon, they are already gone. 1. 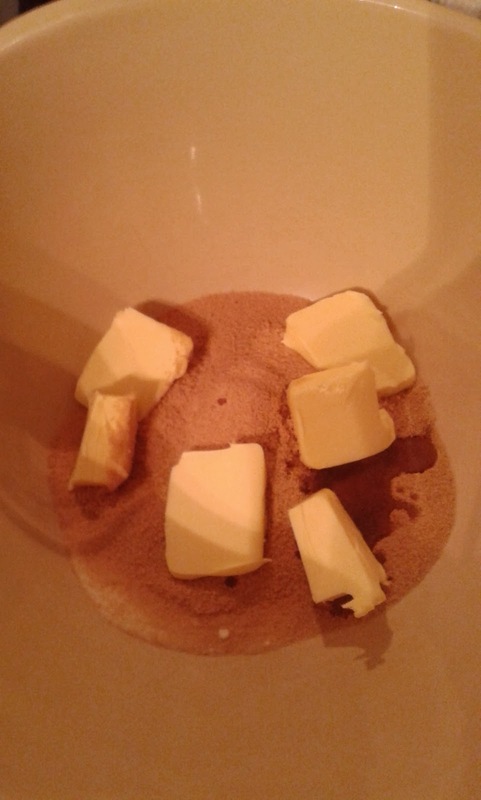 Cream butter, caster sugar, brown sugar and vanilla extract until light and fluffy. Use an electric mixer if you have one. 2. Beat eggs together in a separate bowl and gradually add to sugar and butter mix using electric mixer until fluffy. 3. Add baking powder and salt to the flour and sift into the eggs, sugar and butter. Fold together using a metal spoon. You should create a dough, once flour is folded in. Bring together into a ball. 4. Transfer dough ball to a clean bowl and chill in the fridge for a minimum of 40 minutes, ideally an hour, until dough has firmed up. 5. 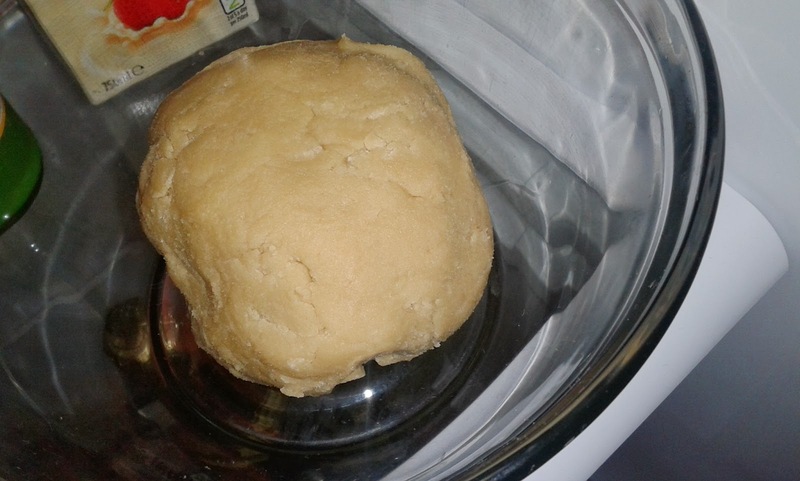 Whilst dough is chilling, preheat the oven to 190 degrees/ Fan 170 degrees/ Gas 4. Cover baking trays with greaseproof paper. 6. Remove dough from fridge and using your hands roll 18 small balls of dough. Place onto baking sheets, spaced well apart (no more than 4 cookies per baking sheet). 7. 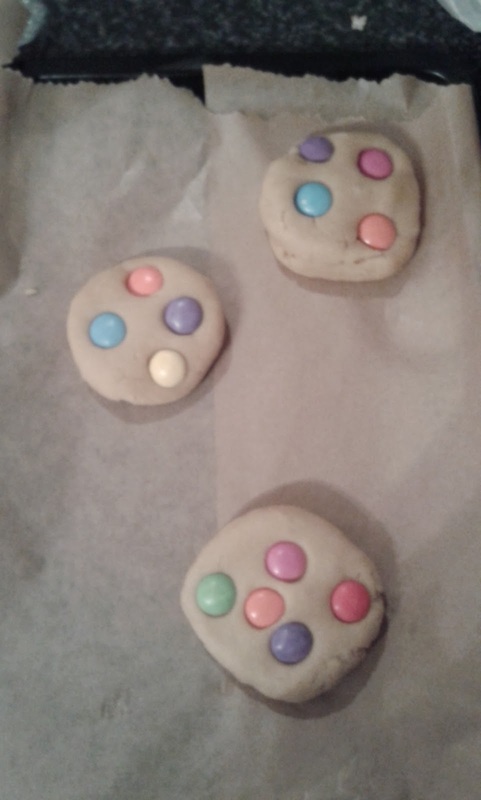 Flatten each ball slightly and place 5 smarties on the top of each cookie. 9. Remove from oven, allow to cook on tray for a few moments to ensure cookies retain their shape. Transfer to a wire rack to finish cooling. 10. Store in an airtight container for up to 3 days... or eat immediately! 1. 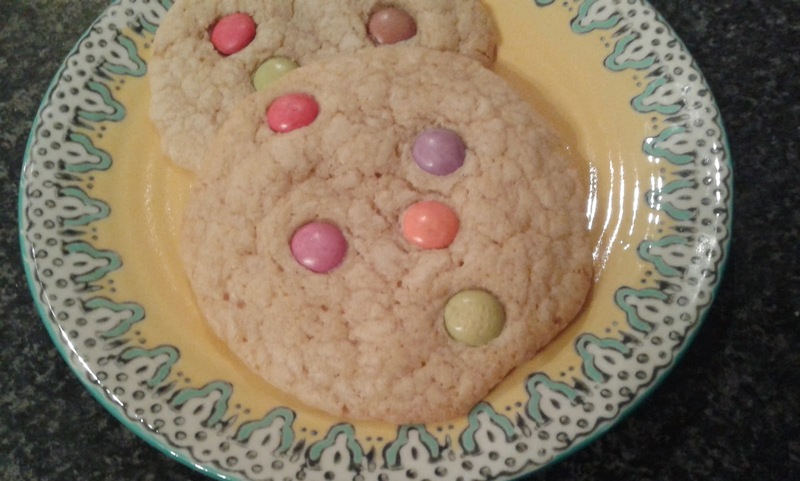 Make sure cookie balls are even in size before baking otherwise you will have seriously oddly sized cookies! 2. Make sure to chill the dough, otherwise cookies wont keep their shape (cue one tray sized cookie). 3. You are aiming for a chewy consistency, so cookies should be soft when removed from oven. 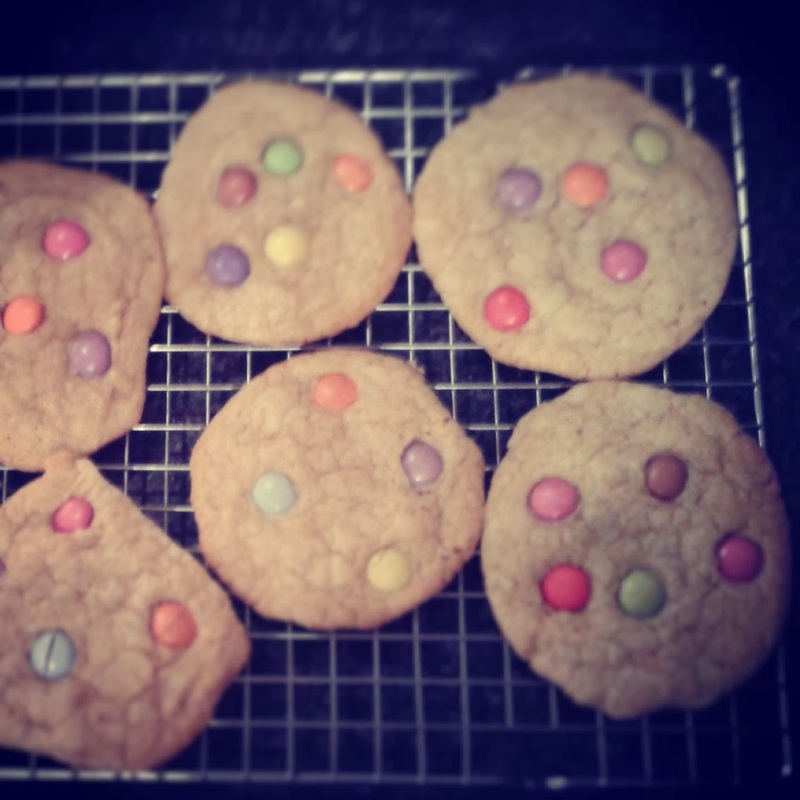 I am entering my Smarties Cookies into Stuart and Kat’s baking challenge Treat Petite this month, hosted by Cakey Boi, with the theme Loved Ones. I've made these for Mr WhatClaireBaked as he loves cookies. Kat will host Treat Petite on alternate months at: The Baking Explorer. Thanks for entering these Claire, they look well scrummy! Thanks Stuart! Really easy to make!